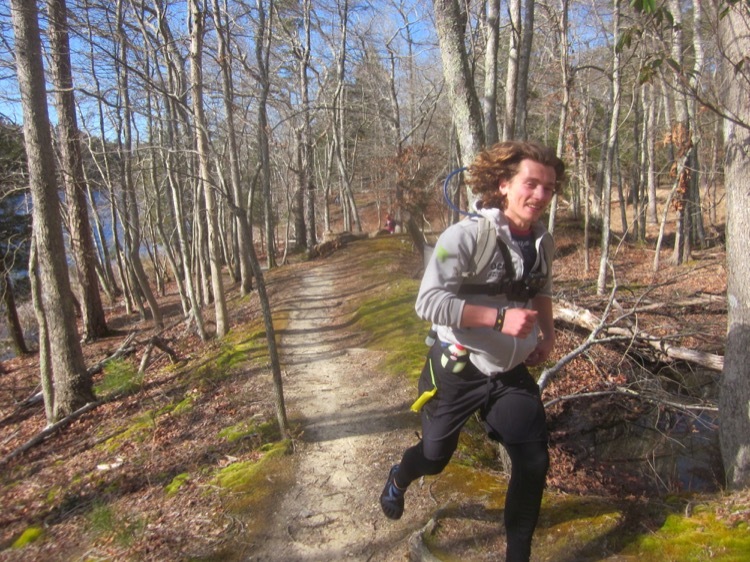 The Wells Mills 50K is in an area that includes about 650,000 acres and is nearly as large as Yosemite. However, it’s right smack dab in the middle of the most densely populated state in the Union: New Jersey. History? Pirates, black rat snakes, moonshiners and the last battle of the Revolution was fought nearby. Old man Wells dug out, dammed up and made a mill here back in the 1700s. In the 20-year history of the Rat Race, people have been hit by deer, stung by bees, bitten by wild dogs and gotten lost for hours in the swamps of Central Jersey. 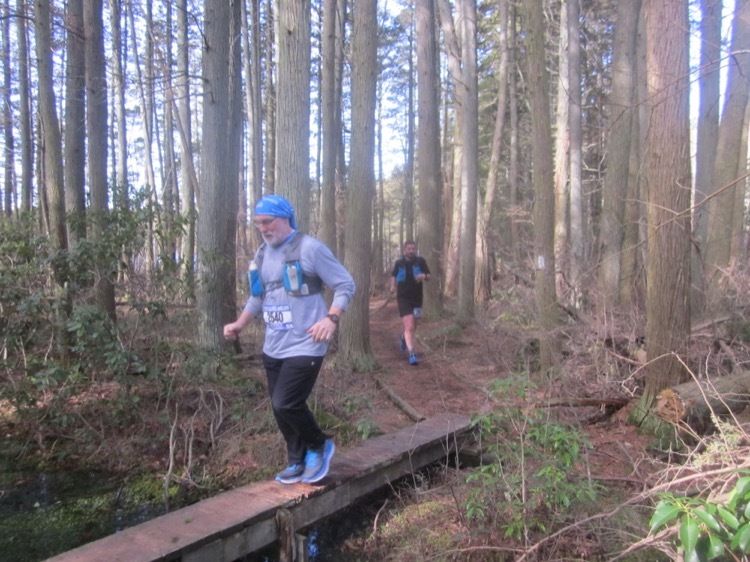 And the day before this year’s Wells Mills 50K, it looked like more of the same shenanigans. Torrential rain, gale force winds (45+ mph) and a controlled burn that erased many course markings, looked to make it a debacle. But when the sun came out and a bald eagle snatched a fish out of the water right in front of us, many said this was one of their best runs ever. 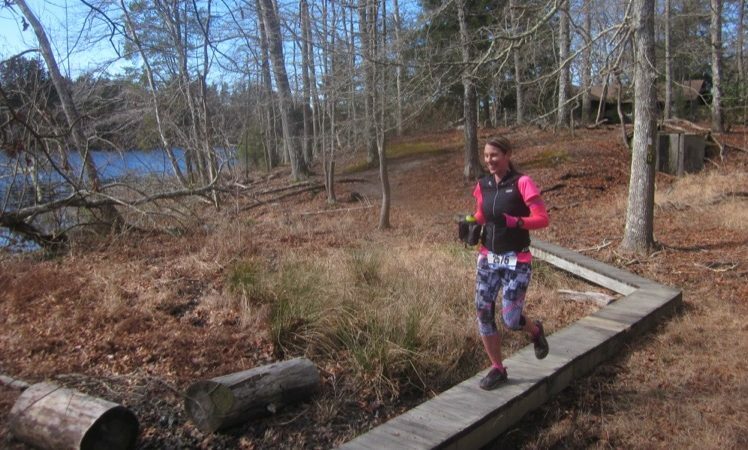 The course includes lots of rolling hills, eight miles of double track, four miles of sandy single track and then finishes up by running on narrow planks across cedar swamps making for slow times, but a great training run. Only one person got lost (they should have avoided the double caution tape), there were lots of custom ceramic mugs awarded, ocean fishing trips for prizes, and hot food and cake at the finish. In the end, there were no twisted ankles or broken bones (and no black rat snakes on the trail).